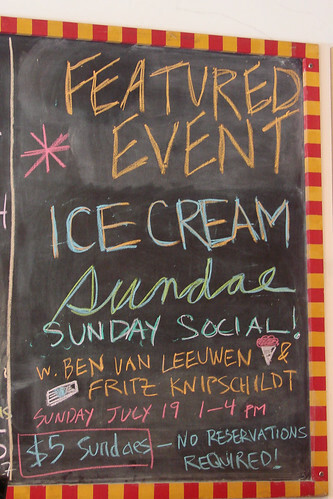 Van Leeuwen Ice Cream topped with Fritz Knipschildt's decadent dessert sauces plus house-whipped cream for Hail's Family Farm = bliss. Get Your Dream (Food) Job a free class taught by Irena Chalmers, award-winning speaker, mentor, and author of Food Jobs. Irena will teach you how to turn your full time passion for food into a full-time job. Sounds like a good double header to us!